Apple Music hits 20 million subscribers | What Hi-Fi? While it took seven years for Spotify to reach 20 million subscribers, Apple Music has reached that number in less than 18 months. Apple Music has now surpassed 20 million paying subscribers, since launching at the end of June last year, according to Music Business Worldwide. This still puts it behind Spotify's 40 million subscribers, as of September 2016, but ahead of Tidal's three million user count as of March. In 2016, Spotify added 12 million subscribers to its user base, while Apple Music has added 10 million. Apple's counter to that is that it took seven years for Spotify to hit the 20 million subscriber mark it has just reached. However, Spotify is a much smaller company than Apple and lacks the widespread hardware support in the iPhone 7 and iPad range. 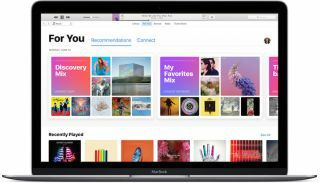 The advantage Apple Music has over the competition is its integration with the Apple ecosystem, its numerous exclusives and (in comparison to Spotify), its slightly superior sound quality. However, the service ultimately loses out to Spotify due to the latter's focus on discovering new music, no-cost options funded by advertising and the prominance of Spotify Connect.